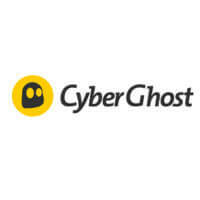 When it comes to the popularity and quality of service, Disconnect VPN and CyberGhost are very similar. Because of this, it can be tough for a user to decide which VPN to opt for. One provider has to be better, if not completely, then at least in those areas that interest you, the future user, the most. Disconnect is best known for its browser extensions that prevent malicious trackers from interfering with your connection and monitoring your sessions. It also offers a sleek, easy-to-use VPN ideal for beginners without much tech experience. I made a huge mistake when I bought a lifetime for this dog. It sits on my desktop under Win10/64bit and looks real pretty. Unfortunately, nothing happens, but it shure looks good. There is NO SUPPORT. No user forum. No way to search online for Disconnect VPN problems. Go ahead. Give it a try. They've got a good thing going there.Tech suppport? Good luck with that. I emailed - email, imagine that - a year ago. Response: We'll have an engineer get back to you Real Soon Now - right out of the '90s.I'd give it no stars if you the rating available.I recommend Windscribe. IT WORKS. MY connection speed plummeted the moment I turned the VPN protection on. My internet is garbage to begin with and it becomes borderline unusable with Disconnect. It doesn't work with Netflix and it freezes my laptop all the time. Good for some basic protection but definitely not the right choice for people who seriously want to up their security game.